I was a college adjunct professor for teaching English (being a German citizen) for years. Then my life took an unexpected turn. My then husband had opted out of the rat race for health and environmental reasons. He was a CPA, and made us emigrate to Ireland from a professional German background to become organic farmers in the sticks of Ireland: for THE GOOD LIFE. It was a challenge and a culture shock for me. This created a crop of misgivings and, unfortunately, our marriage broke up over it. Where and how to find a new partner in a country where divorce wasn’t even legal yet? I started my own dating agency ‘to skim off the cream’ ─ as a journalist put it in an interview. I became the “Dating Guru” or “Chief Cupid” of Ireland. Enough to write a book about! When the Internet took over the dating scene even in backward little Ireland, I jumped on the cyber highway myself to find that elusive soul-mate. 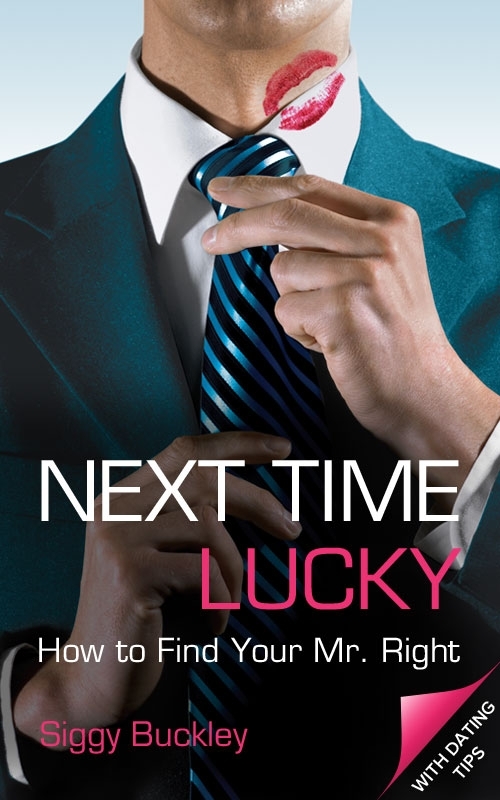 The book is called “Next Time Lucky: How to Find Your Mr. Right”. It is a sassy, sometimes naughty read. Its new edition has an additional chapter with practical dating advice. I’m now happily married and live in the USA. Unfortunately, due to chronic pain, I no longer have a day job but a loving husband who brings home the bacon. I love getting sucked into a gripping book. I used to golf and garden. Now I prefer to have a nice garden and sit and enjoy it. Dancing has also been one of my passions: Disco music, Bee Gees, Motown—I’m giving away my age here! So instead of sweating in the gym, I prefer to have music take me back to the best times in my life- in my own house dancing! I wrote extensively for American Chronicles and Opednews on political and environmental topics. Having several blogs and books going in addition at the same time, my writing now concentrates on our travels – home swapping- as well as maintaining a writer’s blog. It gives writers a platform to get noticed. I’m a proud International member of the National League of American Pen Women. Let’s see, what else besides the writing. I’m a blue girl. It shows in my choice of clothes and how I decorate my house …and porch! When it comes to movies, I like good documentaries, political stories and historic movies. No action movies or chick flicks, please. I’m not really a pet person having had many cats and dogs –as well as pigs and horses- on the farm. That belongs to my past life. An ironic aside: I used to have a wine import business in Ireland and then developed an intolerance towards yeast and sugar—which rules out wine and beer pretty much. Had to sell out! It started with a diary that I kept when I started dating again after a 17 year long marriage. My now husband suggested and encouraged me to turn it into a book. His support and help editing, etc. is outstanding and ongoing. My current project, “I once had a Farm in Ireland”, also is of a cathartic nature for me personally while telling extraordinary stories that happened to me which are of interest to other people. Creative non-fiction. I figure if I called it memoirs, I’d be in trouble. 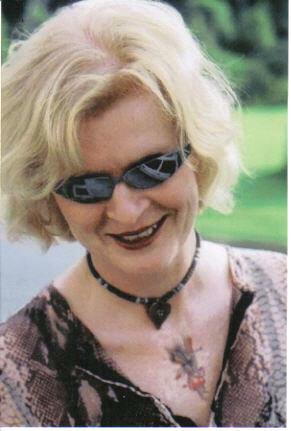 Not being a celebrity, who knows Siggy Buckley and would be interested in her memories? And I lived through enough material for another book! (Laughing here) It sure sounds like it! What’s your process? Are you a seat of pantser or a well-devised outliner? I write from memory since my books are basically autobiographic, often based on scribbled notes I took over time. The challenge is to get them into in a chronological order of events which need proper structuring and outlining when you are dealing with flashbacks. I met an elderly lady on the oncology ward of the Mayo Clinic, where I volunteered at the time. We quickly connected over the writing, and she was very influential in my approach, learning process and she also edited my book. Thanks to her I’m now a member of the National League of American Pen Women –though I’m not even American but still German. I like a strong female voice. After a long love affair with Joanne Harris’ books (author of “Chocolat”), I now favor Tana French, an Irish whodunit writer. I know the Irish settings of her so far 4 books well and love the Irishisms she uses. They make me feel like being back home. My published book “Next Time Lucky”. It is such a wild ride in an unsettling time after my divorce finding myself again. At the same time, it’s like a stream of consciousness novel: Reflections on my own life that I had to keep to a minimum while trying to get where I wanted to. Since you write non-fiction, I guess I don’t have to ask where your character inspiration come from? The real thing, people I met who are being blended together sometimes. because life is stranger than fiction! Having had an agent after many rejection letters who even promised me film rights but couldn’t sell the manuscript in 18 months. Ouch! Well, we all get advice. What’s the best/worst writing advice you ever got? Write about what you know. Stamina, perseverance; don’t take criticism personally and don’t try to sell your books to family and friends. Still in the editing process, but you get an idea form my blog from which it resulted. I write from the heart. I know what I’m writing about, e.g. when I dare to give dating advice. I’ve been there. I want to get message out in a story that readers can relate to. and my hub called Siggy’s Omnibus, that comprises 5 other sites. Unfortunately, it’s not supported by Apple products because it contains flash links. My new book trailer is fun! Available as an eBook on Amazon at Barnes & Noble at the moment. The paper edition should hit bookshops in early summer. Last but not least my eBook Intrepid Swapping—Successful Homeswapping on Home Swapping, Season 1. Thank you, Siggy, for taking time to talk to us and share a great interview.